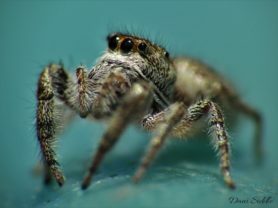 I found this spider in my car. 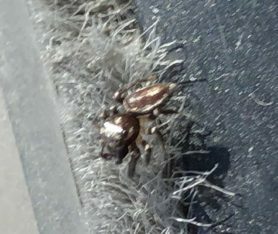 It's pretty small (smaller than my fingernail) and appears to have very fine hair on its legs and abdomen. Its primary colors are brown and white/light tan. 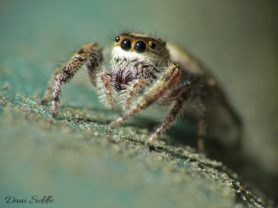 Its most distinguishing feature is a band of white/light tan going all the way around its abdomen and on the sides of its head visible from an above view. 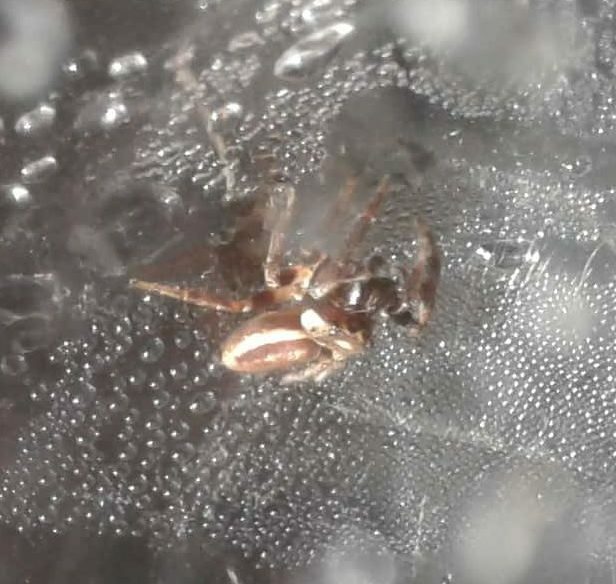 The brown on the top of the abdomen (above the whitish stripe) is a slightly lighter brown than the rest of the spider and almost looks like it has a coppery highlight going down the center. The legs are sort of striped brown and tan but the feet look black. It does web, and I can see thin reddish black fangs (I suspect its a tarantula sling but I could be wrong). The width of the head and the body is almost the same, with the abdomen just being slightly longer and thinner. The abdomen is not rounded, and comes to a point and its spinerets are very small. 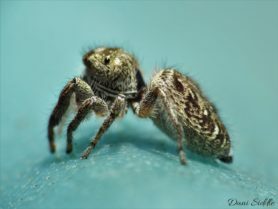 This is a male Jumping Spider (Salticidae) in the genus Eris. Two similar species are in your range, Eris flava, and Eris militaris.